. We have already come across the Samsung Galaxy S4 nexus edition, Samsung Galaxy S4 mini and Samsung Galaxy S4 active and eagerly waiting with the whole world for the June 20 announcement , where Samsung will reveal their yet another model under Samsung Galaxy S4 , this time it is Samsung Galaxy S4 Zoom. The news of the Samsung Galaxy S4 zoom has been cooking around for quite a sometime. It has been assumed that the formal launching of the brand new S4 Zoom will take place in UK, which will be the first camera phone which will run on Android operating system, designed by Samsung. The yet to launched Samsung galaxy S4 zoom is designed in parts taken from the inceptions of the galaxy smart phone and partly from the galaxy camera. This camera phone will be the first of its kind that the Samsung will launch. It is said that the camera phone, Samsung galaxy S4 possess a 16 mega pixel camera in it. 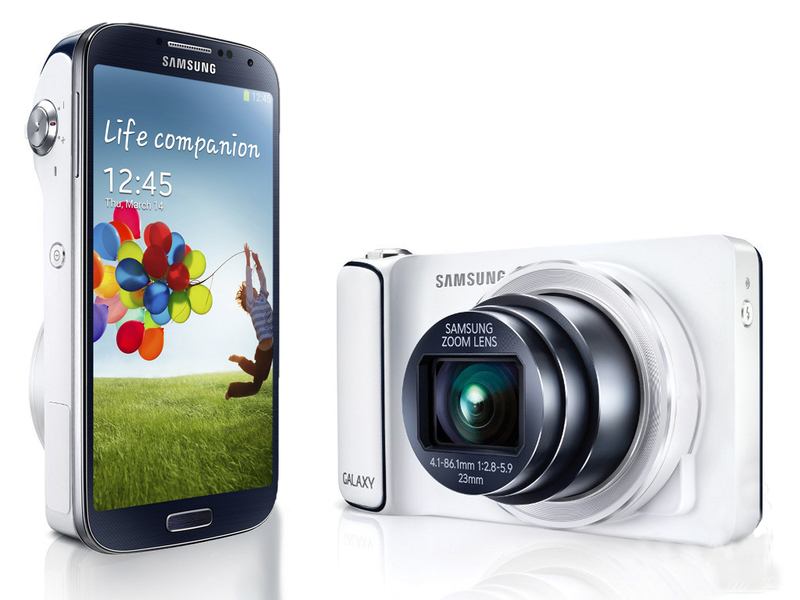 The Galaxy S4 Zoom in every angle looks attractive to suffice to the needs of the Galaxy smart phone range. But it is still not yet confirmed that whether the Zoom is really applicable for the Galaxy S4. The device is quite tilted towards the Samsung galaxy mini camera as it has a 4.3 screen of QHD feature. Not the perfect expected flagship model still we can anticipate some more to come out of the box when it is officially launched on June 20th. When Samsung started their innovative steps with their signature navigation and design control people may have least expected that the S4 Zoom would become a reality today. The Samsung Galaxy S4 Zoom comes in with smart phone screen along with interface features in the front part of the camera phone. If taken or watched from a head on view people may confuse the yet to released Galaxy S4 Zoom with the Galaxy S4. If can be easily taken as a camouflaged lower version of the main Galaxy S4 model. Some of the rumored specifications of the Samsung Galaxy S4 are that it has processor of 1.6 ghz strength capacity, the camera phone comes with AMOLED screen of 950 by 560. The phone is supported with WI-FI support capability and has 8 GB internal capacity. Similar to the other phones it has micro SD card slot for external storage expansion. In the features of camera the phone comes in with the 16 mega pixel camera and it has the options of zoom through optical lenses functions. The typical trademarked phone buttons have been evaded only to give way to a more dedicated zoom and shutter control buttons. There are some unusually widening gaps that can visualized in the yet to be released camera phone of Galaxy S4 Zoom, which is something strange and unusual to its usual galaxy camera designs. Though only parts of the speculations are revealed, the full and final launch of the camera phone at the premiere functione of Samsung in UK on 20th will uncover the curtains.